On Sunday, May 22nd, 1808, the Bourne brothers held their first open-air service at Wootton. Much interest was excited, and the attendance was so great that Bourne says: ‘It was like a small camp meeting.’ As the result of a ‘Divine impression,’ Hugh Bourne and his brother James held their second Wootton meeting in the month of July. Bourne says: ‘This second Wootton meeting was extraordinary.’ It was the beginning of a gracious work throughout the entire neighbourhood. Mr. J. Horrobin, at whose expense the first society class tickets were printed, united himself on that memorable day with the Camp Meeting Methodists. 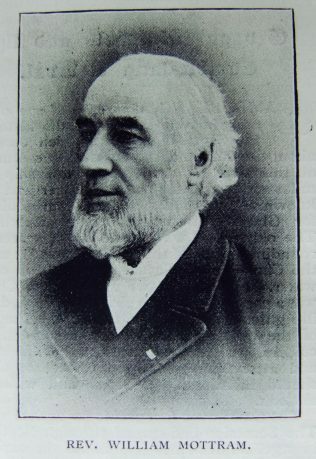 A class was formed at Wootton, and it was placed under the leadership of Mr. Joseph Salt, a respectable farmer, who had been converted through the agency of Mr. Thomas Cotton. It appears, however, that Mr. Salt had been first awakened to a sense of sin by the faithful preaching of ‘a pious young female,’ who, we believe, was Mrs. Samuel Evans, the ‘Dinah Morris’ of George Eliot’s Adam Bede. The sectional plans written by Hugh Bourne in the formative days of Primitive Methodism were not like the circuit plans of today. Places situated near each other were grouped together, as in the case of Ramsor, Wootton, Tean, Caldon-Lowe, Lask Edge, and Stanley. When he had obtained a sufficient number of preacher to fill up the ordinary appointments for a quarter, he made a plan for the united preaching places, and left a copy tor the use of each meeting-house. Each preacher was furnished with a note, specifying the dates and places of his own appointments only. For two or three years Bourne arranged the plans for the preaching-places, and supplied notes to J. Bourne, J. Crawfoot, T. Cotton, T. Knight, W. Maxfield, F. Dreacott, W. Alcock, T. White, W. Turner, M. Dunnell, and a few other persons who took appointments in the camp-meeting community until the year 1811, when the present system of making circuit plans was adopted, which was followed in 1812 by the first printed. Ellaston begins at the Bridge spanning the silvery waters of the Dove, which separates it from the village of Roston, located in romantic Derbyshire. Ellaston is closely connected with George Eliot’s famous novel, entitled ‘Adam Bede.’ In the story the village is called ‘Hayslope.’ It was on Ellaston Green that ‘Dinah Morris’ preached her famous sermon as recorded by her niece. Although the Evans’s were of Flintshire origin, yet the three brothers, Robert, the father of Mary Ann, the distinguished novelist; Samuel, husband of the famous preacheress, and William, were born at Roston Common, near to Ellaston, where they learnt their father’s trade of carpentering. In early manhood Samuel Evans was converted, and became a zealous Wesleyan Methodist. He, however, was derided by his elder brothers, who entertained ‘High Church notions.’ Frequently they reminded him that ‘he made great blunders in preaching and prayer, and that he had more zeal than knowledge.’ In Ellaston may still be seen the ‘Donnithorne’ or ‘ Davenport’ Arms, kept by a descendant of the Evans’ family, and close by is the familiar red brick hall, no longer with its ‘windows unpatched.’ In the neighbourhood there are still families bearing the name of ‘Poyser,’ and there are still the cottages of grey stone, with their blue-washed doors and window-frames. Two small booklets, written by local authors, and severally entitled ‘ Seth Bede, the Methody, his Life and Labours, written by himself,’ and Guy Roslyn’s ‘George Eliot in Derbyshire,’ are interesting for the information they give concerning the Evans’s. They prove, without a doubt, that ‘Dinah Morris’ is identical with Mrs. Elizabeth Evans, the “Famous Derbyshire Methodist. The heroine of ‘Adam Bede,’ whose maiden name was Tomlinson, was born at Newbold, in Leicestershire. 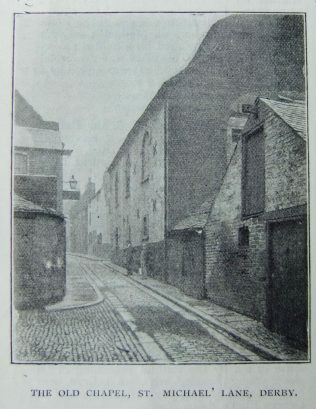 At the early age of fourteen she left her village home for domestic service in the town of Derby, where she remained for seven years in the employment of one family. In early womanhood she removed to Nottingham, where she learnt the trade of lace-making. She went the whole round of worldly pleasure. She consorted with godless companions, who taught her to play at cards. She frequented the midnight dance, the fascinating theatre, and other places of questionable amusement. In her unhappiness she attended a Methodist service, where she fainted beneath the faithful preaching of God’s Word. In the year 1797 Miss Tomlinson was savingly converted, and experienced a change of heart, the thoroughness of which was manifested in her subsequent life and character. At once she abandoned worldly amusements for the House of God, and forsook her old companions for the comradeship of the Methodists. She says: ‘I saw it my duty to leave off all my superfluities of dress, hence I pulled off all my bunches, cut off my curls, left off my lace, and in this I found unspeakable pleasure. I saw I could make a better use of my time and money than to follow the fashions of a vain world.’ As an angel of mercy she visited the sick. Unfortunately, in one infected home, she caught typhoid fever. After her recovery she visited Derby, where, in the old St. Michael‘s Lane Methodist Chapel, her Wesleyan friends prevailed upon her to relate her religious experience, and to give an account of her philanthropic mission. In the short autobiography which she calls her ‘unprofitable life,’ she says, ‘I saw it my duty to be wholly devoted to God, and to be set apart for the Master’s use.’ During her early womanhood, while still young and beautiful, and attired in Quaker dress and bonnet, she walked across the bleak, treeless Derbyshire hills and the Staffordshire moorlands, with their grey stone walls skirting the upland fields that had been recently enclosed from the wild waste. On the open spaces and in the homes of these scattered villages she earnestly preached the Word of Life, and ‘many were brought to the Lord.’ The unenclosed Roston Common and Ellaston Green were two of Miss Evans’ favourite preaching-places. The traditions of her ministry linger in the neighbourhood, and are handed down to succeeding generations. 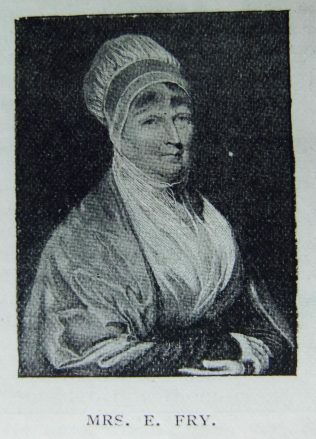 Her faithful ministry during the early years of the first decade of the nineteenth century prepared the way for Hugh and James Bourne. In the same villages where she had previously preached the Gospel they established societies, which were included in the first-fruits of Primitive Methodism, and were represented on the first printed plan of the infant community. Samuel Evans heard Miss Tomlinson preach in the town of Ashbourne, and he became personally acquainted with the young and pious preacheress. When he suggested marriage, the young lady frankly declared that she had not indulged in any thoughts of matrimony. She, however, yielded to his earnest plea, and they were married on August 20th, 1804, in the parish church of St. Mary, Nottingham, he being at the time twenty-seven, and a little older than his bride. They commenced their married life in the village of Roston. Through their united energies several religious revivals resulted in the neighbouring villages. After a few years they removed to Derby, where they became members, class leaders, and local preachers in connection with the King Street Wesleyan Circuit and Church. The philanthropic work of Mrs. Evans was of a far-reaching character, and was duly recognised by the devoted Elizabeth Fry, of prison-visiting fame. HUGH BOURNE’S introduction at the Ellaston camp meeting to Mr. and Mrs. Evans, was the beginning of a life-long friendship. In 1810, they strongly invited him to pay them a visit at their hospitable home in Derby. On the 13th of February in that year he records:- ‘I felt an impression to go to Derby. The Lord’s will be done.’ In the following month, and on the Sabbath following the formation of our first class at Stanley, Hugh Bourne preached at Ramsor in the afternoon, and at Wootton in the evening. 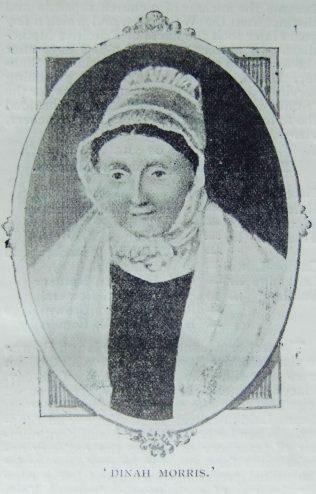 On the following morning he proceeded to Derby, ‘and called on Samuel Evans.’ In describing the religious enthusiasm of Mrs. Evans, Bourne writes, ‘His wife is in earnest.’ He then proceeded to his relatives at King’s Newton. On Wednesday Hugh Bourne returned to Derby, ‘and had some conversation with Mr. Samuel Evans and his wife. He is an earnest man. She has been, and is, an extraordinary woman. She has been very near Ann Cutler’s experience; but she met with great persecution especially from the Rev. J.E. I was much instructed by her conversation. At night I led Mr. Evans’ class; it was a good time; many of them are strong in grace, yet there was much unbelief.’ We ardently wish that Hugh Bourne had had a ‘Boswell’ with him, who would have given a detailed account of the conversation he had with the godly couple. As Hugh Bourne went to Derby direct from Ramsor, and returned thither after the interview, and was preparing the plan for the Ramsor Mission, it is highly probable that he called upon the Evans’s, respecting their taking appointments in the Staffordshire branch. Probably, Bourne spent the night beneath their hospitable roof, for the next day he returned to Ramsor, where he was engaged in his evangelistic labours until the following Tuesday. Miss Mary Ann Evans had several interviews with her aunt. The first took place when the authoress was about eighteen years of age. ln company with her father she visited her ‘uncle and aunt Samuel, who were very poor and lived in a humble cottage at Wirksworth.’ As Mrs. Evans was in a delicate state of health which had been brought on by a severe illness, she returned with her relatives to Warwickshire, where she remained at their home for a few weeks. Miss Evans gives the following description of her aunt, in which she says, ‘She was then above sixty. A tiny little woman with bright small eyes, and hair that had been black, I imagine, but was now grey; a pretty woman in her youth. She was a woman of strong natural excitability, but this vehemence was now subdued by age and sickness. She was very gentle and quiet in her manners. Very loving, and a truly religious soul, in whom the love of God and love of man were fused together, she retained the character of thought that belongs to the genuine old Wesleyan. ‘Adam Bede’ is a faithful portrayal of Methodist life in the county of Hugh Bourne and William Clowes at the beginning of the nineteenth century. The characters and scenes mentioned in the book, and their close connection with the men and villages associated with our first preaching-places, lends an additional charm to its fascinating pages, and makes it all the more interesting to Primitive Methodists. Ramsor, Wootton, and others of our early places which appeared on the first printed plan, continue their existence until the present time. In some of these hamlets there are no other religious services held of any kind. Through Primitive Methodist agency a good and lasting work has been accomplished in the hamlets referred to in our Connexional Deed Poll.